Includes a pyramidal or flat tip. 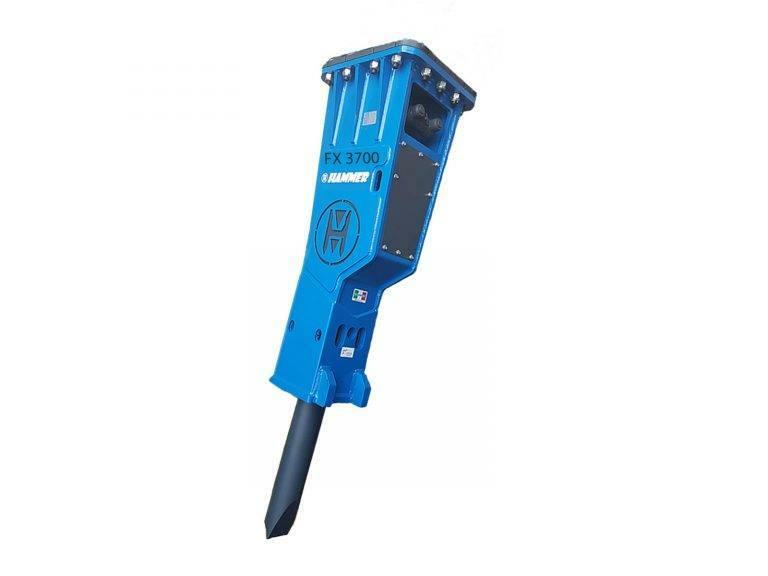 The HAMMER FX-Series is the main line of hydraulic hammers. These are the heaviest and most powerful hydraulic hammers for the hardest jobs. - BOOSTER - Additional energy accumulator to reduce impact of the hammer on the excavator arm and increase the impact force. - Speed Valve - Valve for regulating pressure and oil flow. You can customize the hammer to your preferences and increase the efficiency to 30%. - movable hydraulic connections - prevent snatching of hydraulic hoses during excavator operation.